Yesterday I ventured into New York with Zoe and Ana. 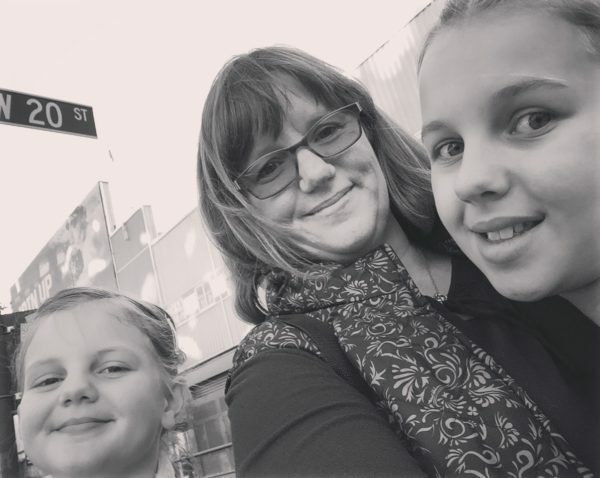 We took the train (which they love more than actually being in the city sometimes)... and set off for Chelsea Piers and the KidzVuz Holiday Party. It's not our first time attending the KidzVuz Holiday Party. We've been to a number of their events... and stop by their booth whenever we see them at expos (like at Toy Fair). 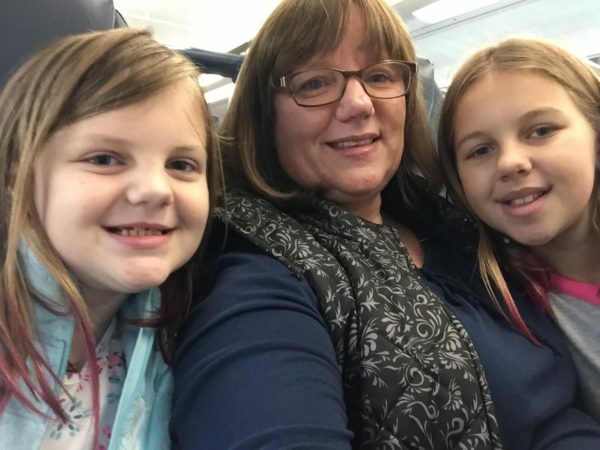 We love seeing Nancy and Rebecca at all of their events... and when Zoe and Ana hear "KidzVuz" they know there will be something fun for them to do while we're there. They definitely had a few favorite brands this year. If you want a closer handle on "managing your children's smartphone usage and safeguard them from harm"... absolutely check out the TeenSafe app. In brief, it allows you to read texts (sent, received, and deleted), view calls (call logs and contacts), view web history, view phone location (current and history) and view & block 3rd party apps (like SnapChat, WhatsApp, and kik). I know we personally edge towards the more lenient (while still controlled) side of kids on social media... but I know a lot of parents who have been looking for exactly what TeenSafe is offering. Our next stop was to visit Sweet Loren's to do a little cookie decorating. Sweet Loren's cookies are "homemade tasting, all natural cookies, without the fuss, mess, or clean-up." They have chocolate chunk (which the girls decorated), oatmeal cranberry (which, YUM, I had undecorated), and peanut butter chocolate (which they didn't offer samples of, in case of allergies). Head to their website for a coupon... and you can find them at Madison Whole Foods in the refrigerated dairy section. They really are delicious and taste homemade! Oh my gosh. The dresses from Halabaloo are adorable and comfortable. They had dresses available for the girls to try on (Zoe and Ana picked from their sizes on the racks) and they were fixed the girls hair with curls and/or up-dos. The material of the two dresses they chose reminded me a little of scuba diver suits... but softer. I can explain really... I just couldn't stop touching them. Halabaloo founder and designer, Halla Elias, was there with her dresses... and she was so thrilled with all of the girls trying on her designs. Her reactions really made the girls love her dresses all that much more. They were happy to pose and show off the dresses for photos (something they aren't ALWAYS willing to do for me). You can see some images of her dresses at HalabalooNYC Instagram, and their Facebook... and the dresses can be found at Nordstom, Saks Fifth Avenue, and Chasing Fireflies. If you check in on their Facebook page you'll see details about a sample sale being held in December in NYC. Rock Band Rivals is available forXbox One and PS4. It's actually an expansion for Rock Band 4. From everything I've been reading it adds a Rockudrama feature (follow you and your band on tour! ), and online multiplayer options with weekly band challenges (so you can play with friends and family where-ever they have access to play... like the cousins in Ithaca.). Zoe LOVED this game. She went back over and over to wait for a turn to play. She tried out guitar, bass, drums, and singing. It was definitely a favorite spot at the KidzVuz Holiday Party. I loved watching how serious the kids were about their parts. All I know is... Zoe looked like a total rock star in her Halabaloo dress... pink hair... and trendy boots. She's definitely got the look down. We happily bought two new ornaments from Heart of Haiti. These items are hand-made by women in Haiti. The idea behind Heart of Haiti is one of "trade instead of aid". With every purchase money is being provided to the artists who have created the crafts. Crafts include metalwork, paper måché, hand-painting, and soapstone-carving... and generally are made with recycled materials. Available exclusively at Macy's (25 stores and online). 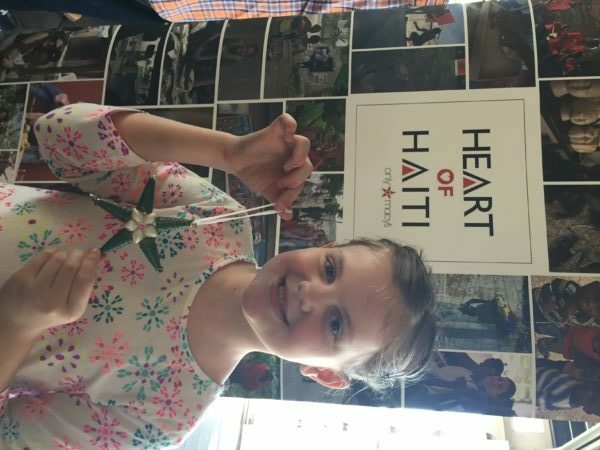 The sales of Heart of Haiti products at Macy's put real, sustainable income into the hands of the artisans who create them, changing their lives in remarkable ways. SpacePop Girls are "not your average princesses". They are a new series of webisodes... and a whole line of really fun products from board games, to books, to tween beauty products, to doll and stuffs animals. Ana immediately wanted all of the SpacePOP Girls' pets (they each have one). I thought the SpacePOP Girls were brand new series... but when I went onto the Youtube channel... there are actually a whole bunch of episodes (episode 42 was added 2 days ago). I'm excited to find something new for (especially) Ana and Zoe to check out. Music and girl-power for the win! There were other brands at the event... but these were the brands that we spent time with. After all of the learning, and playing, and sweet snacking we were wiped out and ready for a little dinner an our trip back home. And we're definitely looking forward to hearing what everyone else thought about their time at the KidzVuz Holiday Party.